Owning a high performance vehicle such as a sports car is a big responsibility. In order to perform at the level it was designed to, it must be regularly serviced and maintained, and not just by any old mechanic, but by someone trained to work on high performance engines. But although those who work on sports cars are specialists, there are good and bad ones, as in any profession, and the way to find a good one is the same as finding any good mechanic. In order to produce motion, car engines turn chemical energy into mechanical power. However, any mechanic will tell you that cars don’t do this all that efficiently. In fact, around 70 per cent of petrol is converted into heat instead of energy — certainly enough to cook your car parts if it wasn’t for the cooling system. It?s for this reason that the cooling system is so important. However, the cooling system isn’t just about dissipating heat — it also needs to ensure the engine remains at a consistent temperature (about 93 degrees Celsius) to optimise performance. The combustion chamber is hot enough to vaporise the fuel entirely, allowing for more efficient combustion and less emissions. The engine’s lubricating oil is thinner, so the engine parts are able to move more freely. This enables the engine to use less power. The metal parts will wear slower. Usually, when we think about what makes a car work, we turn our attention to the internal combustion engine. After all, the engine generates the power required to get the car moving. However, mechanics will tell you that your car’s suspension is, in many ways, just as important — without it, you would not be able to control your car while it moves. Even the flattest roads have irregularities that interact with the wheels of your car on the surface. As the engine makes your car move backwards and forwards, bumps in the road cause the wheels to move up and down. If it wasn’t for suspension, all of that vertical energy would be transferred to your vehicle’s frame, resulting in the wheels losing contact with the road altogether. Gravity would then pull the car back down, slamming your car back down to earth — not good for the health of your vehicle. Your car’s suspension absorbs all of that vertical energy, enabling your car’s frame to remain undisturbed while the wheels bounce about on the road’s imperfections. You spin the steering wheel and the car turns. Simple, right? Well, not exactly. When it comes to cars, many drivers don’t think twice about how the movement of the steering wheel is transferred into movement of the wheels, but ask a mechanic and they’ll explain to you that there’s actually a lot going on down there. In this article, we’ll take a look at two different steering systems — the rack and pinion system and the recirculating ball system — to give you a better understanding of how it all works. We?ll also look at the role that power steering plays in modern vehicles. You might not realise it, but when your car turns, the front wheels will not be pointing in exactly the same direction. The reason for this is simple: the outside wheel is always going to be following a circle with a larger radius and, as such, it will always be making a wider turn than the other. As a result, the steering needs to be designed in a way so that the outside wheel turns a little less than the inside wheel. This is the most fundamental consideration when a steering system is being designed. Cars. They?re funny things. For some, cars are an obsession; people devote huge chunks of their lives to upgrading them, modifying them, reading about them, photographing them and, occasionally, even driving them. For the majority of the population, however, cars aren?t a hobby; they?re a necessity. Without them, we?d be unable to get from point A to point B quickly and conveniently, instead having to take crowded and time-consuming public transport or expensive cabs. So when our cars break down, it can be a major problem. All of a sudden that?s one extra problem to deal with in our already busy existence. Luckily, that?s where mobile mechanics come in to the picture. 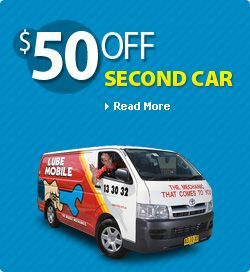 Here we look at a few reasons why you should call a mobile mechanic for repairs or a car service in Melbourne , Sydney, Brisbane, Adelaide, Perth or anywhere else in Australia. In this age of easily created and changed content in a web 2.0 framework, where there is literally trillions of pages and only a few people allocated to checking on the truth of marketing claims, the word ‘qualified’ is often tossed around with little to back it up. When it comes to something with as large an impact on your personal safety and household budget as your car, you want to be sure that the word ‘qualified’ in a mechanic’s description means exactly what you expect it to! Today we are looking at simple steps that anybody can take to ensure that their mechanic is qualified to undertake car repairs and perform routine car services on your vehicle. What Does It Take to be a Great Automotive Mechanic? For most of us, a great mechanic is simply somebody that returns our car to us minus the odd noise or strange problem and doesn?t charge the Earth for it! Today we are delving a little deeper into the world of auto-mechanics, looking at some concrete ways that you can use to identify great mechanics ? and keep that number in your contact list! When it comes to taking care of our cars, most of us tend to find a good mechanic and stick with them. Car service is not really something that we like to experiment with – there are just too many safety and satisfaction issues! However, all good things must come to an end ? you may have moved house, your mechanic may have swapped jobs, or you might have had a disappointing experience with a previously good car repairer. If you?re on the hunt for a new mechanic, it doesn?t have to be a hit and miss operation; we look at how to separate the best mechanics from the rest.